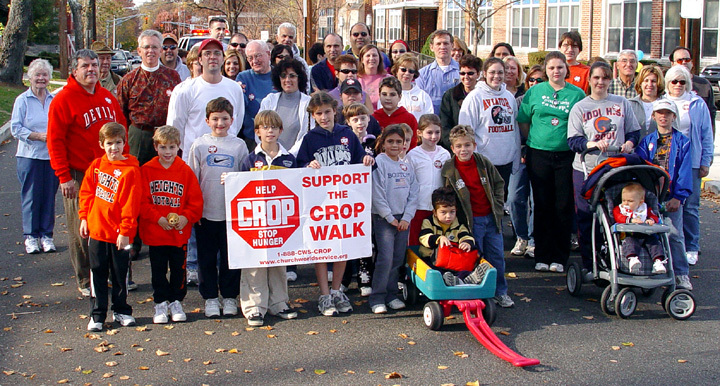 This years CROP WALK began on Sunday, November 13, at 1:30 p.m. at Corpus Christi Church. Neighbors walked to support worldwide programs to help eliminate poverty and hunger. The 2.4 mile route was along Burton & Oak Grove. About $5,000 was pledged by the community.Following the event, light refreshments were served by the Corpus Christi Rosarians. Coffee was donated by Starbucks.The CROP WALK is an interfaith community event that helps local food pantries and food banks, offers shelter for refugees and displaced families, and provides food and water in parts of Africa where drought related famine imperils millions of families.